WOW, what an amazing fast paced show. 30 minutes is really fast. We had a lot of fun and gave away some really cool stuff thanks to some really awesome people. 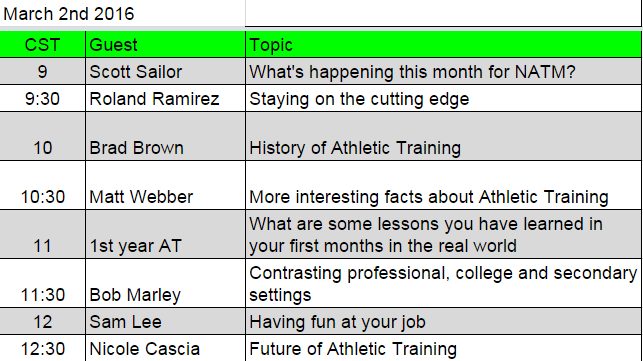 Here is the full list of guests and topics. This episode is long but very entertaining. About every half hour we switched guests if you want to jump ahead to one then think in roughly 30 minute blocks. It will also start the NATM with a bang since we are running about 15 shows this month. This entry was posted in Podcast and tagged Alisha Pennington, Bob Marley, Brad Brown, bubba wilson, Josh Yellen, Matt Weber, Nicole Cascia, Revae Rivera, Roland Ramirez, Sam Lee, Scott Sailor on March 4, 2016 by Host of The SMB.